Emergency: Carbon monoxide has been detected. 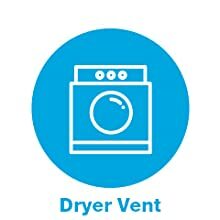 Move to fresh air and call 911. Low battery: It's time to replace the batteries in your carbon monoxide alarm. 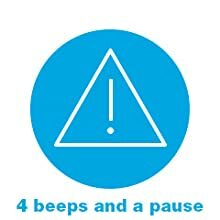 End of life: It's time to replace your carbon monoxide alarm. 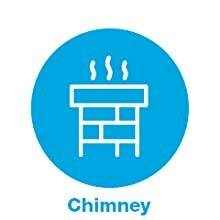 Smoke Alarms: 1 in every bedroom and at least 1 on every level of the home. 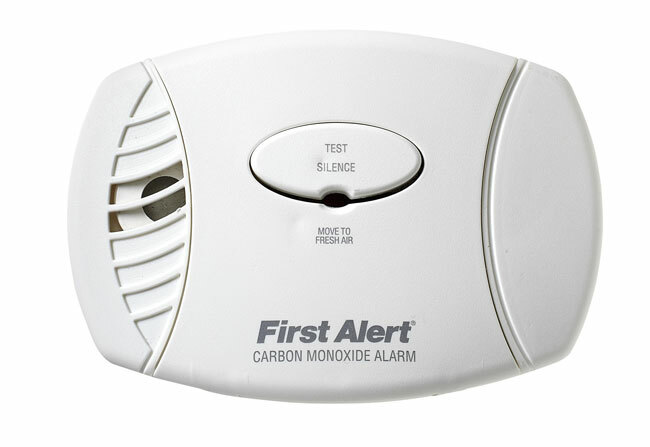 Carbon Monoxide Alarms: 1 on every level of the home and 1 in each sleeping area. Fire Extinguishers: 1 on every level of the home and 1 each in the kitchen and garage. 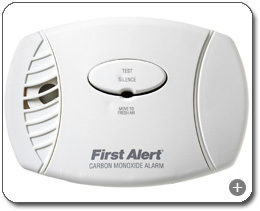 Carbon Monoxide: The Leading Cause of Accidental Deaths in the U.S. Carbon monoxide, an invisible, odorless gas, is the leading cause of accidental poisoning deaths in America, yet many people don't know they are suffering from CO poisoning until it's too late. Because you can't see, taste, or smell it, CO can kill you before you even know it's there. Likewise, exposure to low levels over time can make you ill. 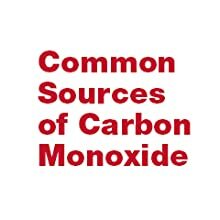 The Consumer Product Safety Commission recommends that every home have at least one carbon monoxide alarm with an audible warning signal--like the CO605--installed near sleeping areas. An alarm like the CO605 can detect the CO you can't see, smell, or taste before it causes any physical harm to you or your family. 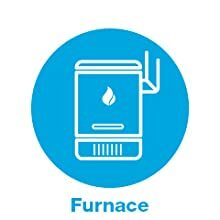 The CO605 uses an electrochemical carbon monoxide sensor--the most accurate CO sensor available. In comparison to more commonly available technologies, electrochemical technology is highly accurate, requires a lower amount of power, and boasts a longer life. 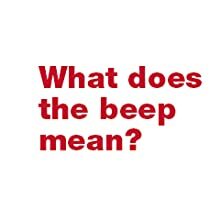 If the CO605's sensor detects a high concentration of CO, the unit will sound a clear, loud, 85-decibel alarm, giving you a chance to either ventilate the area or safely evacuate. This unit runs on A/C power, but in case of an electrical outage, it will switch to battery operation. This gives you peace of mind during storms--when you're more likely to use generators that could potentially give off dangerous levels of CO.
For added convenience, installation is a snap. Simply plug the CO605 into any wall outlet--with no additional mounting--and it's ready to go. The unit features two 'AA' batteries to provide backup power to the monitor in the case of power disruption or outage. Operation is equally trouble free. One button clearly labeled "Test/Silence" lets you test the unit to see if it's running properly or silence it during a false alarm. To give you real peace of mind, the CO605 continually monitors CO and re-alarms if dangerous levels persist. 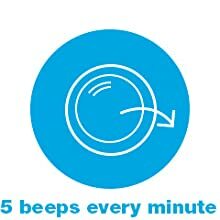 At the same time, a low-battery signal let's you know when it's time to replace the backup batteries (included); a low-battery mute quiets the signal for up to eight hours. 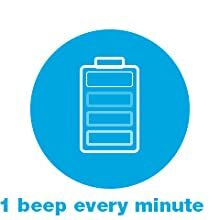 An easy, front-open compartment allows for easy battery changes without dismounting the alarm, and an end-of-life chirp lets you know when it's time to replace the unit. The CO605 comes with two 'AA' batteries and a five-year limited warranty. It also comes complete with an "Alarm Action" chart that instructs you on what to do if the alarm sounds. Easy to install. It’s really quick and easy! have one on every level in the home. Easy as to use, like that it has a battery backup in case of power outage.